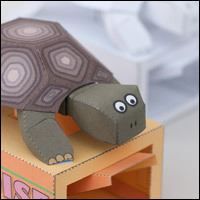 I thought you might be interested to re-read this series of posts from early last year in which I go through the design process of creating the Tortoise model. Once completed, members can download the model for free. Non-members can join in the fun for a small fee.